I’m pretty sure it’s their house. Kathy remembers taking it so she could remember the room. 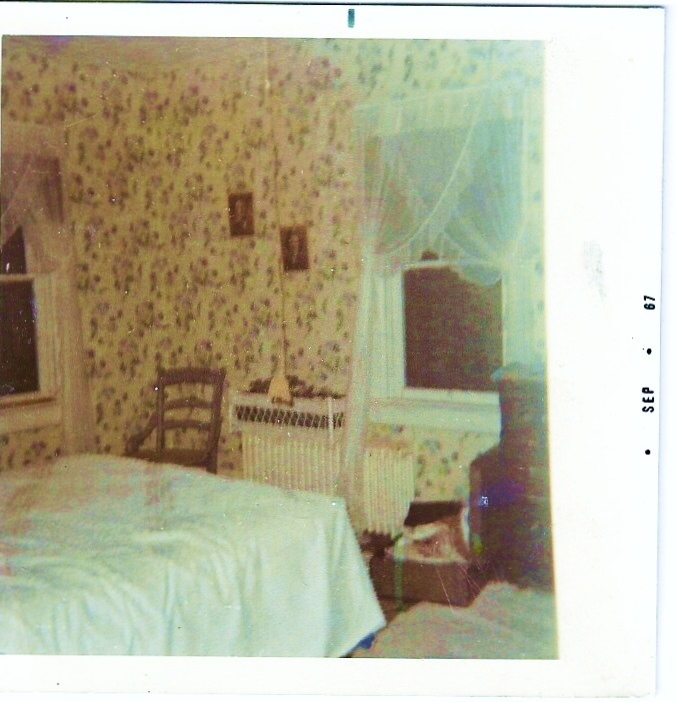 Mom said it was her old room but said the pictures on the wall were wrong. Then she went into detail about what had been on the wall when she was a kid. Go figure she can remember what is on a wall a 80 years ago but not today. I sent this picture to Mom because I couldn’t remember any room at Grandma and Grandpa’s looking like this. Mom said they didn’t have radiators in their house. She thinks it may have been another family members’ house. I’m printing all the posts you’ve researched and sending hard copies to Mom. She is really enjoying it. Talked to Kathy she is sure it is the big bedroom at the end of the hall. She remembers taking the photo. She thinks the pictures on the wall were your Mom and John. She said our Mom told her the radiators were added later after all the kids had moved out. I had a letter from your Mom recently. Glad she is enjoying the posts.